Let's see… I'm a lifelong resident of Brookfield, CT. My wife Lisa and I have three kids under the age of 10, so yeah, we do a lot of laundry and keep the chicken nugget industry afloat. I went to UCONN where I majored in Graphic Design. 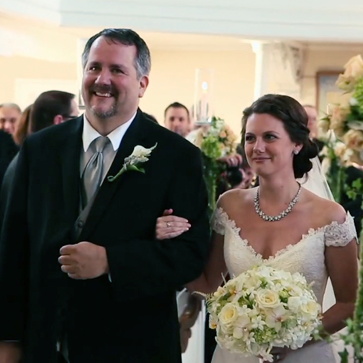 I've always felt my design background is a great help organizing and constructing a wedding film. 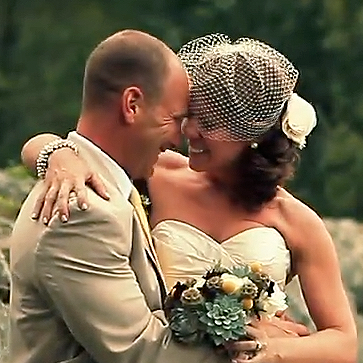 In 2005, Vantage Point Films sprung onto the wedding landscape — with a lot to offer and even more to learn! Over the past decade, we've developed a style that weaves the emotions of your unique love into the storytelling process — creating something that will truly move you. Along the way, we've forged relationships with some of the most talented and dedicated wedding vendors in all the land. Our amazing team of videographers are hired for not only their talents, but also for their personalities. We always make it a priority to be personable and flexible with clients, venues, and other vendors. It's a wedding after all… let's all have some fun! We're invisible >> you forget we're there >> you relax and have more fun >> real smiles make for better footage than fake smiles! >> your friends notice that we aren't in your face all day >> they get engaged and call us >> the photographers like	that we aren't in all their shots and competing for their space >> they like us too and send referrals our way >> Yay, everyone wins! Pre-Wedding: We'd like to learn as much as possible about your big day ahead of time. It gives us some insights into what, and who, you think are important parts of your day. Of course we know the who the main players are, but it's always helpful to go over any special events or people that might be worth noting. Because it's a live event, we like to get it right the first time! Wedding Day: All of our equipment is small and mobile, enabling us to be quick on our feet and not draw a lot of attention to ourselves. As we blend in with the crowd, we'll position ourselves to capture great footage while not interfering with your guests' view. Because a photographer's role includes shot lists and formal shots, we usually give them the reins and let them take charge in terms of timelines and locations. 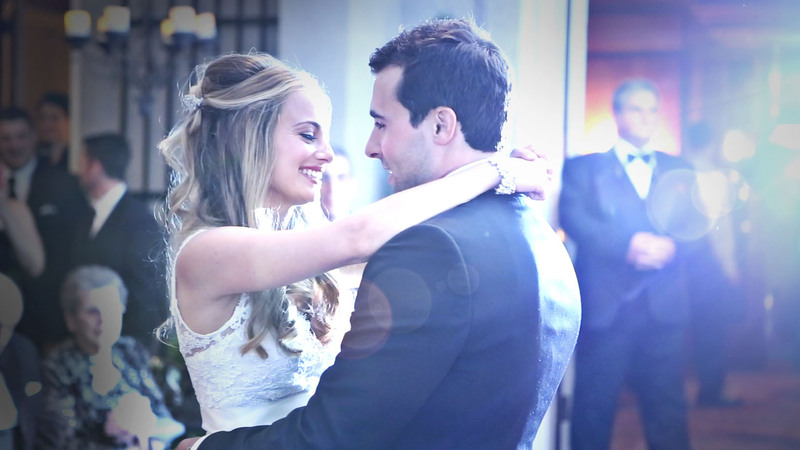 For over a decade, Vantage Point Films has seen it all — from a bride, a groom and a judge in a small conference room at City Hall, to 400+ person weddings that must have cost… well, you get the point. With that in mind, we’ve developed a balance of quality, artistry, and affordability that can be custom quoted to accommodate any size wedding. The packages listed below are a starting point. We have a number of options not listed that can accommodate specific requests and budgetary concerns, and can modify packages to suit your individual needs. We also have discounts available for off-season and weekday weddings. Please fill out the contact form as best you can, and we will be happy to get back to you with appropriate pricing options. At the end of the day, we're people pleasers. Knowing we've given you a visual document you'll add to your family's history means the world to us. Thank you to all who take the time the write and express your appreciation. We can honestly say that Vantage Point Films gave us a gift that we will cherish for the rest of our lives. We were both brought to tears the first time we watched it. The moments he captured take our breaths away - again and again. We feel honored to have worked with Tom and Vantage Point Films, and would recommend them to anyone that desires a film that will leave you speechless!!! 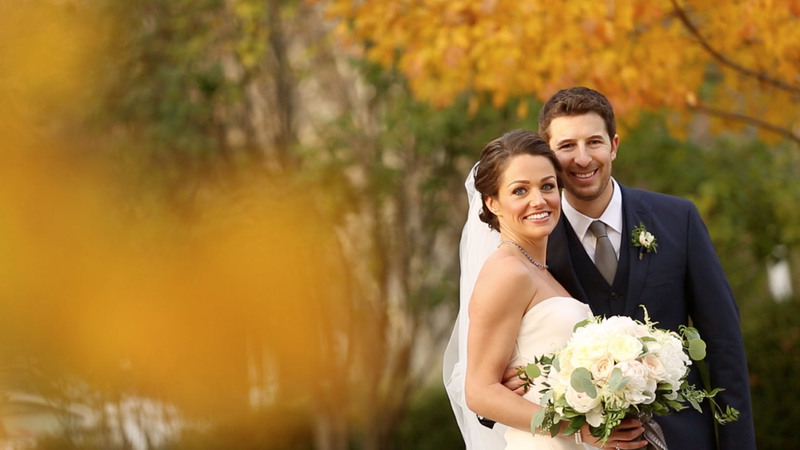 We cannot describe how happy we are with our wedding video and the quality work of Vantage Point Films. 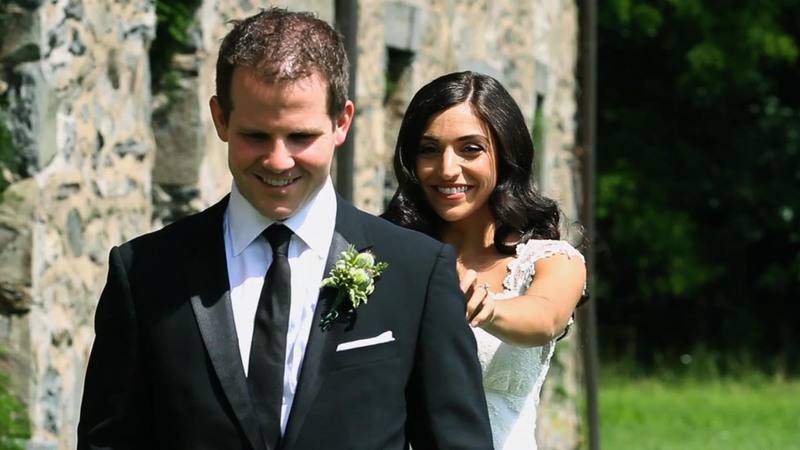 Our highlight reel was equally amazing, and we are so glad we opted to hire a videographer for our wedding. They were so subtle that hardly any of our guests knew that we even had a videographer at our wedding. They were very professional and blended in with the rest of our guests. Tom was very flexible, reliable, and conscientious. We highly recommend them to anyone looking for a videographer. From our first meeting I knew they would be a good fit. Tom Morlock showed us examples and answered every question we had fully and honestly. He made us feel like we were his most important client. The day of the wedding, they were prompt, very polite and unobtrusive. Most of the time I didn't even know they were filming until I received the footage and realized they didn't miss a thing! They listened to what I wanted and the look I was going for and they nailed it. They were wonderful and I highly recommend them! I gotta say…. I have watched the video a hundred times since I first emailed you. Taking video is great…. But you grabbed the essence of my daughter….and many of the family members!! Let me just say there’s a lot of essence to go around with this family!!! I just wanted to say again what a wonderful video.. I will treasure it forever!! And so will Kat!!! Thanks for everything you do!! Can we just say HOLY S%*&! I think I cried more watching your video than I did on my actual wedding day!! We are so crazy happy with the video! Got the DVDs and watched everything together last night as soon as Jack got home from his trip! Wow! THANK YOU THANK YOU THANK YOU!!!!! One of my favorite vendors, by far! No one at the wedding even knew we had a videographer and the video we received is absolutely amazing. Having a video is something I will never regret and every time I watch it, it brings me right back to the day and the moment I said "I do." I've watched other wedding videos from other couples and am so so so thankful we went with Vantage Point Films — your wedding video isn't something you can 're-do' if it doesn't come out perfect, so I would highly recommend picking a company that you trust will do a perfect job. Well of course you've got questions! How would you describe your videography style? Documentary, cinematic or a mix of both? 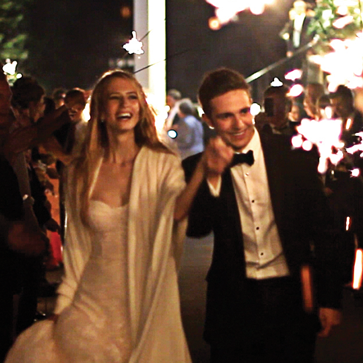 We've developed a documentary style approach to capturing your wedding. We've found it's the most natural, hands-off way of shooting the day as it unfolds. The longer main feature is a reflection of this style, as the day is beautifully and chronologically retold. 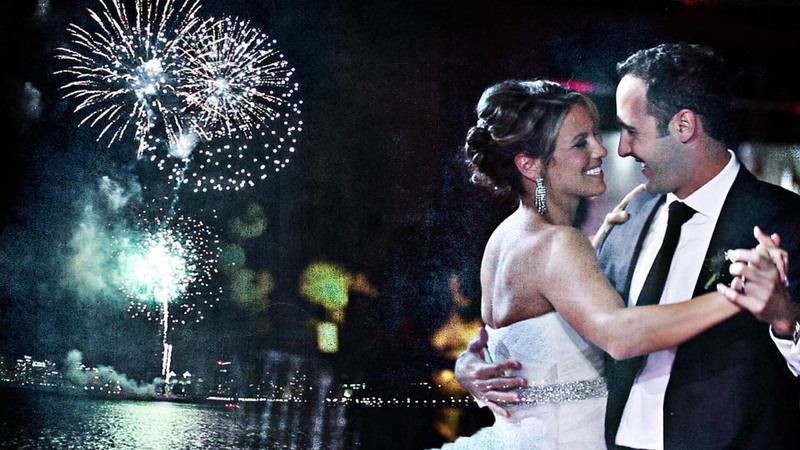 The highlight film is a much more expressive piece — edited in a cinematic way that will evoke all the emotions of your wedding day for years to come. What sets you apart from other videographers? We feel our 'hands-off' approach makes us a great fit for the wedding industry. Unfortunately, we've all heard stories of overzealous, inexperienced videographers who ruin the romantic ambiance with a bright light or a camera in your face. Being 'invisible' throughout the day is basically the cornerstone of our business philosophy — making us popular not just with brides and grooms, but also with photographers, guests, and everyone else who will be a part of the wedding celebration. What kind of equipment/cameras do you use? Equipment is chosen based on a balance of quality, mobility, and how inconspicuous it is. For filming, we primarily use DSLR's, which for those who don't know, are photo cameras that also shoot HD video. For audio we use a combination of wireless lavaliere microphones as well as portable audio recorders for comprehensive coverage. How do you work with our photographer? 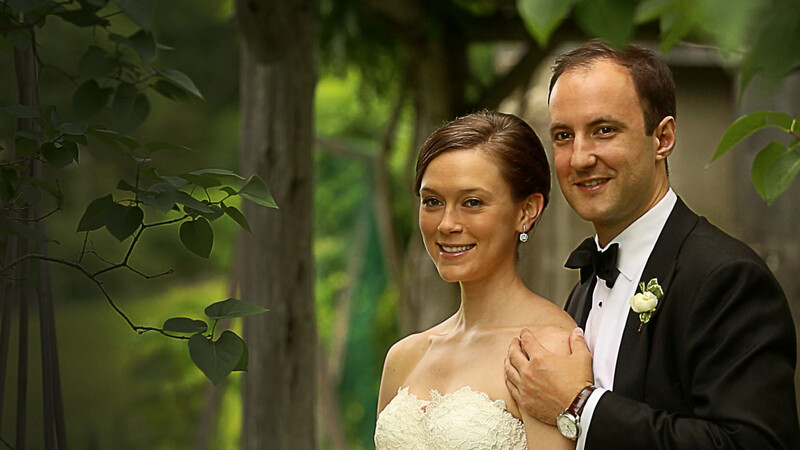 We attribute much of our continued success to the fantastic relationships we fostered with several photographers. In turn, they benefit from our approach to positioning and unobtrusiveness. A photographer has to consider shot lists and family formals, possibly in multiple locations — all within a scheduled amount of time. With that in mind, we usually try to think of the photographer as the priority in terms of position and who's in charge. It makes them feel at ease knowing we aren't competing with them for the couple's attention and they have time to get their shots unobstructed. It also draws the attention away from us, so we don't have to answer questions, make suggestions, and overall get into the middle of other people's business. So with that said, whenever possible we try to position ourselves behind the photographer(s), always being aware of where they are. It's win/win, because we don't want the couples knowing we're there anyway. How is the music chosen for the Highlight Film? [Part 1] Music is chosen to best represent the couple and their unique day. Some couples are more traditional, while others have more progressive tastes. We hardly ever choose music ahead of time — instead we soak it all in… your personalities, your style, and the music your band or DJ played during the night. From there, we search for a piece of music that helps tell your story. If you would like to be involved in that process, we always appreciate input. [Part 2] There was a time when music selection was pretty much 'anything goes'. If you liked Cold Play, then great! We could use whatever song you wanted. Nowadays, music companies tend to frown on that kind of thing. And by 'frown on', we mean their lawyers call our lawyers! So with that being said, music for the Highlight Film is usually chosen from several licensing companies we have relationships with. Do we get to make changes or view a 'rough draft'? 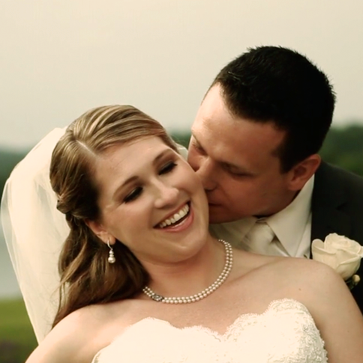 We typically do not figure revisions/re-edits into the pricing of our wedding films. What we create for you is a finished piece — a visual interpretation of your day from our perspective. Like any artistic piece, there are literally hundreds of decisions and edits that go into the process of creating it. We understand that someone with a discerning eye and an appreciation for details might have ideas or special requests—which is why we always invite input from you before editing on how we can make your wedding film more uniquely yours. How is the deposit schedule set up? We typically break the payment schedule into thirds — one third when the date is booked, one third a week before the event, and the final third once the wedding film is done before delivery. If you need special consideration, please let us know and we can consider adjusting the schedule depending on the circumstances. How long can we expect to wait before we receive our wedding film? This is a little hard to answer, mainly because we edit them as we shoot them — so it depends on how many weddings we end up booking in a given year. But a safe estimate is 6-8 weeks for a wedding shot between January and July, and 8-10 weeks for a wedding shot from August to December. We will keep you 'in the loop' as editing is progressing, so you have an idea of when you can expect to receive your wedding film. We do not charge a fee based on mileage, but in certain situations that require an overnight stay for our camerapeople, we ask for reimbursement for hotel stays. We will always communicate that need well in advance so you have a clear idea of any additional charges. Following an in-person or phone consult, we will hold your date for 7 days. After that you can obviously still reserve your date with us, but after 7 days it will be open for others to reserve. If you need special consideration, please let us know and we can be somewhat flexible depending on the circumstances. Your message has been sent. We will be in touch soon! ©2016 Vantage Point Films | All Rights Reserved.